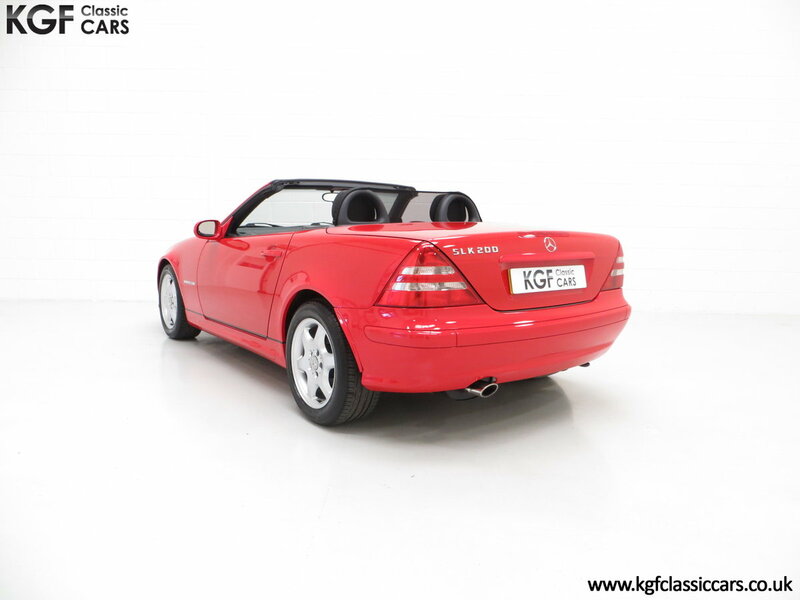 An immaculate Mercedes-Benz SLK200 Kompressor (R170) with two owners from new. Electronic Stability Program (ESP), Anti-Lock brakes (ABS), front occupant airbags, side airbags, electro-hydraulic Vario roof in car colour, roll bars, heat insulated glass, service interval display, heated and electrically adjustable door mirrors, air compressor, warning triangle, tool roll, first aid kit. Factory options; Speedtronic cruise control with speed limiter function, cup holders. 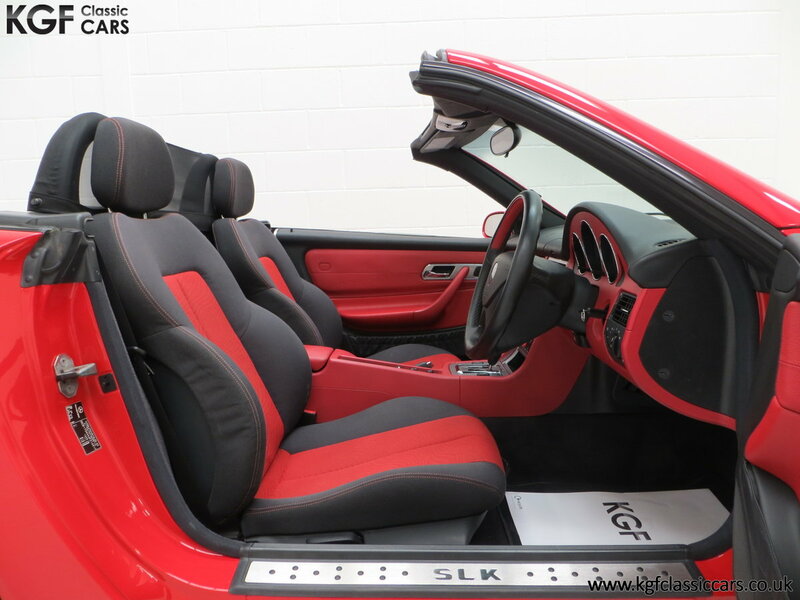 Dealer accessories: SLK tailored floor mats, wind deflector. 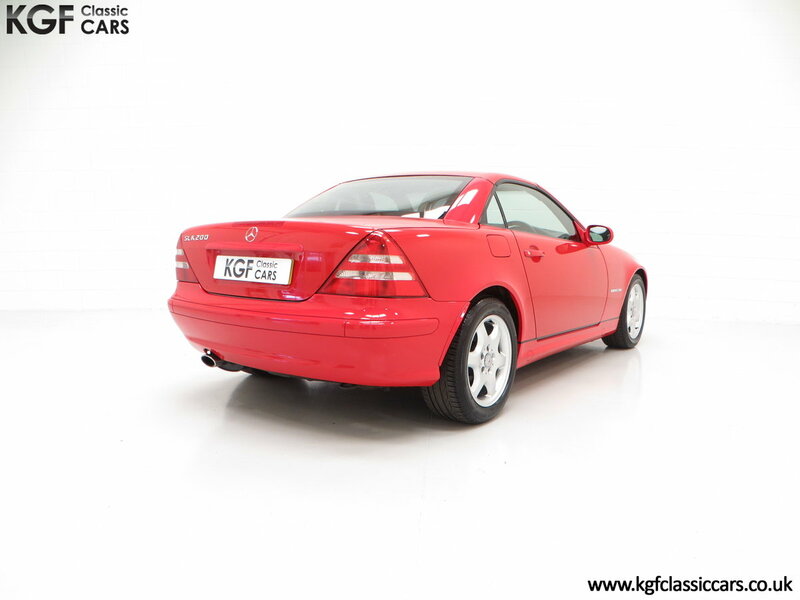 This stunning SLK200 is finished in the rare and striking colour of Magma Red, (Code 586). Having been utterly cherished from new by only two owners, this garaged example is simply brilliant. The amazing paintwork gleams with a deep lustrous shine and beautiful uniform polished finish, and all factory panels are straight and undamaged. Even very close scrutineers will struggle to detect anything other than minuscule markings, utterly insignificant. The electro-hydraulic Vario roof is seamless in operation and the optional wind deflector remains with the car. Originality seekers will be pleased to see Mercedes main dealer number plates. Not to be confused with the usual offerings, this pampered SLK is without question amongst the best examples. This two seat roadster features Duo-Tone Fabric interior in Scarlet Red, (Code 017), which is very clean and free from wear with firm bolsters. Tailored SLK floor mats have preserved the carpet and the headlining to the Vario roof is as new. All trim sections and the fascia are superb, including the often chipped colour coded interior finishing, and all controls and functions operate seamlessly including the Speedtronic cruise control/limiter and ice-cold air conditioning. Light scratches are visible to the lower glovebox lid and an aerial booster is fitted to the inner windscreen. Factory stickers remain in the spotless door shuts, boot floor and inner boot lid, and the luggage area holds the space saver spare wheel, compressor, first aid kit, warning triangle, tool roll and jack, all present and in their place. The fastidious owner has even wrapped the tool roll in cellophane! A pristine and preserved interior. 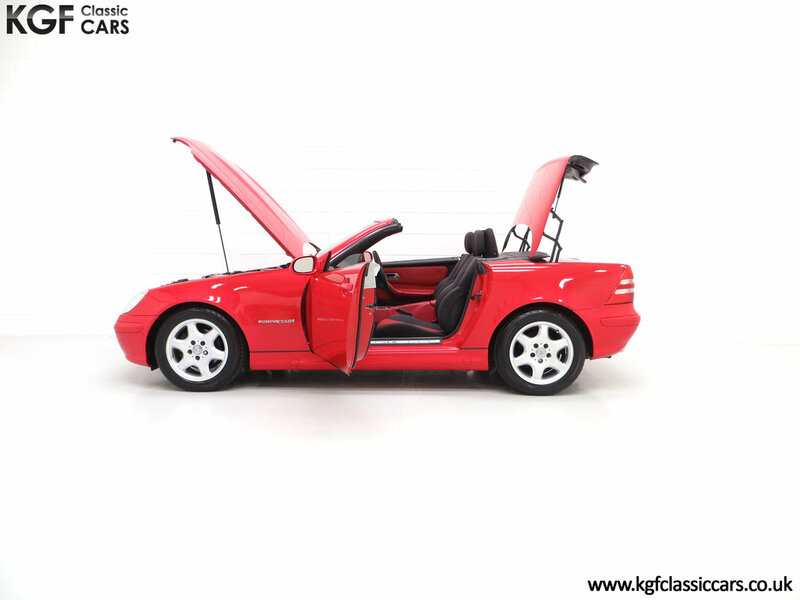 The supercharged four-cylinder engine displaces 1998cc to develop 163hp and 230Nm torque output with performance credentials quoted in the marketing literature at 0-60 in 7.9 seconds with a top speed of 138mph. The engine bay is pristine and proudly displays the bright red ‘Kompressor’ rocker cover infill as well as factory stickers, bulkhead chassis stamp and slam panel stamping. The standard electronically controlled 5-speed automatic transmission operates precisely as it should with positive kickdown and both winter and sport modes. Factory fitted 16in alloy wheels are in outstanding order with no scuffs or rim damage and original Mercedes centre caps are as new. Matching premium Bridgestone Turanza 205/55 R16 front and 225/50 R16 rear tyres have masses of tread remaining. The anti-lock braking system offers absolute stopping power to install complete peace of mind. 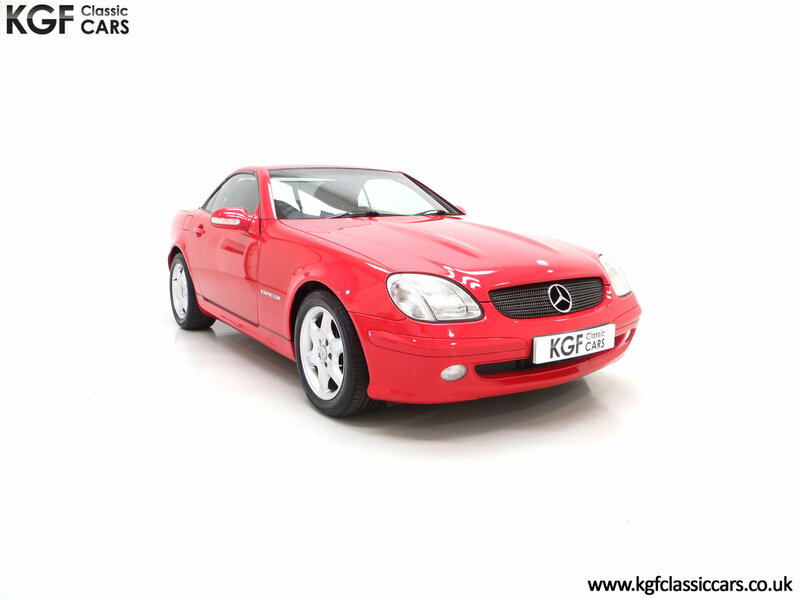 Registered new on the 18th January 2001, the first owner was a Mr Stephen Hagger who ordered the car through Mercedes-Benz of Poole. 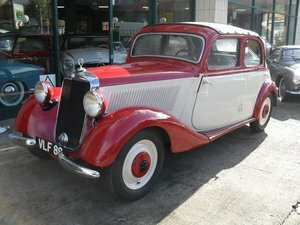 Mr Hagger enjoyed the car for over 14 years until 2015 when it was purchased by Mr David Bull who has owned it ever since. The mileage of 67,898 miles is fully verified in the service history including the original maintenance record containing 11 stamped entries, eight of which are Mercedes main dealer. The most recent service was carried out in 2018 with just a few hundred miles covered since. The Mercedes document wallet holds the service book with factory build card as well as all handbooks, guides and dealership literature. A further folder of invoices and previous MOT certificates includes a receipt for a brand-new premium quality Bosch battery fitted in February 2019. 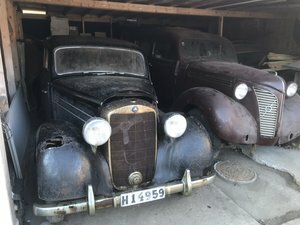 Two original Mercedes remote keys remain with the car. 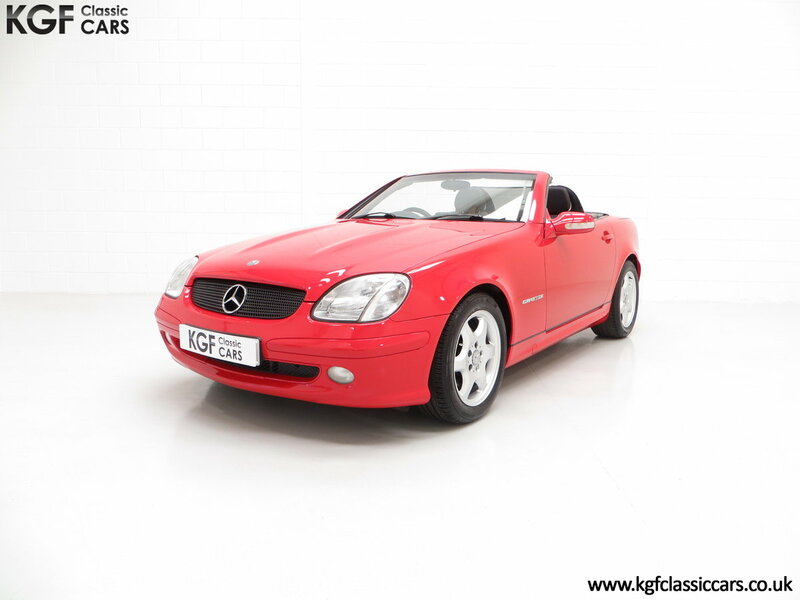 Early and cossetted SLK’s are fast becoming hugely desirable and this exceptional example has perfect low owner credentials and is in a condition far superior to usual offerings.